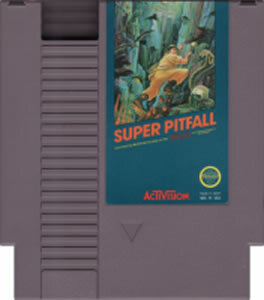 Super Pitfall original NES Nintendo Game cartridge only - Cleaned Tested and Guaranteed to Work! Great game ! Loads of fun ! Without instructions, this game is practically unplayable. The character is expected to find "hidden" objects throughout the dungeon, which are completely invisible - you just have to jump around incessantly until you come across one. And the waterfalls in this game are a nightmare: fall into one, and all the time and effort you put in traversing the labyrinth is gone, with you back at the bottom of the cave. If not for the ingenious level design overall, I'd give it 1 star. Very hard, and not too rewarding. This has got to be one of the worst/hardest/confusing games on the NES. I never know where I'm going, what to do, or what's going to kill me next. 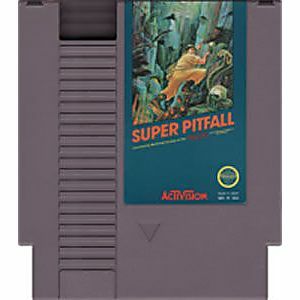 You're Pitfall Harry and your supposed to rescue your niece and get some diamond but everything you need to do is completely hidden and not intuitive. Thankfully, it's 2011 and we have internet so any question you have you can simply google and find out what to do. In 1986 - this game was impossible. 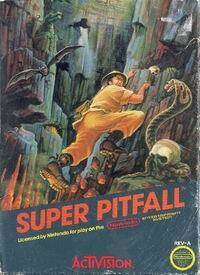 I don't know why it's so hard either - the Atari 2600 version was fine; The Super Nintendo version was fine... I'm definitely biased though, as this was one of the first games my parents bought me as a kid and man it made me frustrated.